After completing gender reassignment surgery, transgender actor Rüzgar Erkoçlar has been called up to perform mandatory military service. 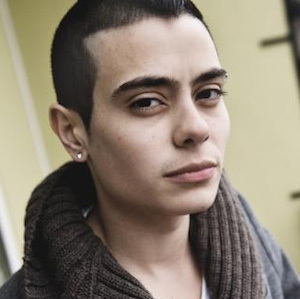 Erkoçlar announced his transgender status to the public last year. Recently he wrote on his blog that he had been called up to serve in the Turkish Army. In Turkey every man over 18 is legally obligated to serve a term in the military. Excusal is only given to men with health problems, disabilities or homosexuals. A homosexual man must ‘prove’ he is gay and is required to take several controversial tests, deemed ‘humiliating and degrading’ by Human Rights Watch. Erkoçlar said that when his legal gender was changed from female to male he was required to take a series of tests to receive exemption from military service. Erkoçlar, 27, is a relatively well-known actor in Turkey, and reflected in interviews on that he never identified as female. Update: At time of publication this article included the name Ruzgar Erkoclar was previously known by. This was included in error, and was removed soon after publication.